Clubhouse PVC Decking’s proprietary formulation sandwiches a stronger, denser cell structure with the finest protective capstock in the industry! Incredible results & superior strength. Herb Edwards, a Sales representative for Clubhouse Decking, shows Superior EXPO attendees how this technologically-advanced PVC decking can be bent for the curved looks that today’s customers love. 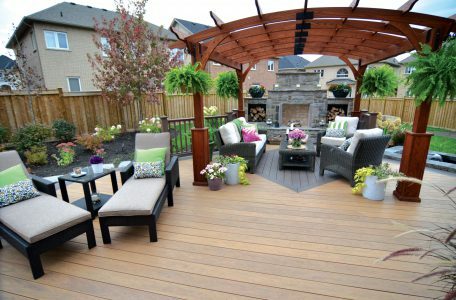 In the brightest sunshine or in the coolest shade, Clubhouse Decking makes a statement with an exceptional natural wood look with deep grain embossing, in two stunning collections. A limited lifetime warranty with fade and stain coverage for 25 years combined with the kind of stunning natural wood grains and finishes that will keep them talking at the Club for years to come. 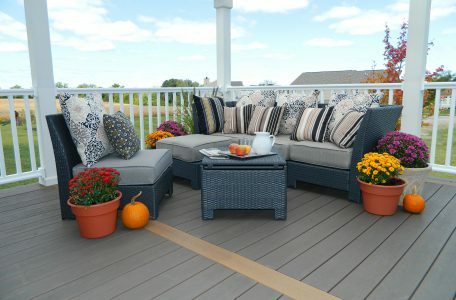 Clubhouse also provides a unique set of design options superior to plastic decking. Clubhouse PVC Decking offers a choice of board styles – Solid and hidden fastener board options for picture perfect installation The dual color, dual embossed planks provide multiple design options with one board: Ipe/Walnut Mahogany/Ironwood Sandstone/Clay Cobblestone/Brookstone Clubhouse offers a wide range of solid and variegated colors. Low gloss-woodgrain finish also helps with skid resistance. 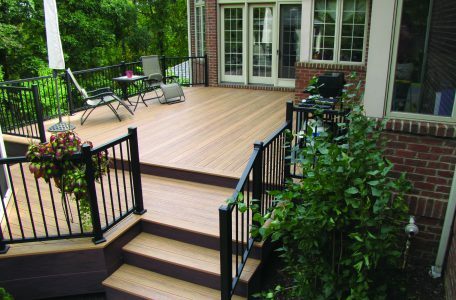 Up to 25% lighter than most wood composites, Clubhouse Decking is 100% PVC. Their Korelite technology creates a unique, dense cell structure providing superior strength and a more solid under foot feel. Their industry-leading and time-tested SunShield technology protects your Clubhouse Deck from the harsh effects of the sun including UV and fade protection, resistance to cracking and brittleness, and surface degradation. The result is a handsome, hardworking addition to any home that will withstand the harsh effects of any climate and retain color and grain. 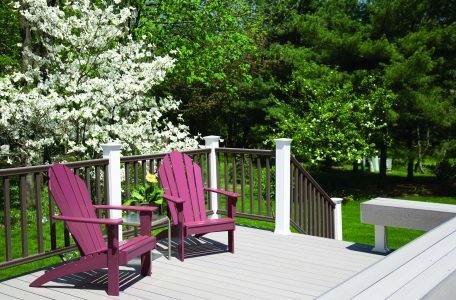 When you select Clubhouse PVC Decking, you join a sustainable drive toward environmental sensitivity and earth-friendly practices. Clubhouse Decking is 100% recyclable. Clubhouse’s rich colors and exceptional wood grain look never require painting or staining. 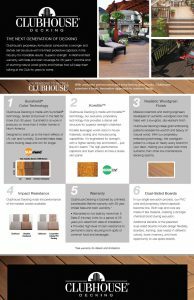 Clubhouse PVC Decking does not require harsh chemicals to clean and maintain its fresh look for years to come. SunShield cap is formulated to withstand the harsh effects of weather and ultraviolet light ensuring a long life. It’s one more step in doing our share to protect the environment. 1/2″ x 12″ (11 1/4″) Fascia available in 12′ lengths only.